The Ferrari 488's 661 hp may be boosted to 700 hp in a track-focused version. 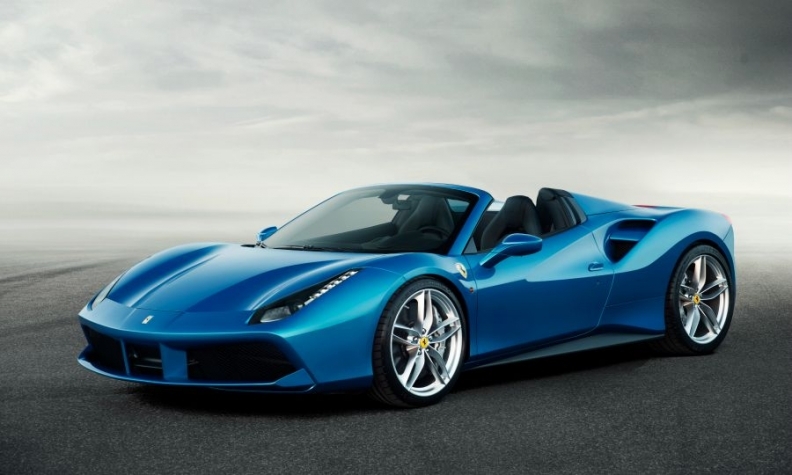 Ferrari is likely to debut the lightweight, track-focused version of its 488 supercar at the Geneva auto show in March. Stripped-out versions of Ferrari's V-8 mid-engine supercars have gained a near-legendary status among the brand’s fans. Their launches mark the countdown to the car’s replacement with an all-new model. Previous versions have included the 360 Challenge Stradale, 430 Scuderia and 458 Speciale. The revisions usually include a significant weight reduction, for example the 458 Speciale was 90 kg lighter than the standard model. More power is another certainty, which would increase the output of the 488’s twin-turbocharged V-8 beyond its current figure of 661 hp. Reports say the track 488 may get 700 hp. The performance 488 is “almost certain” to appear in Geneva, a source close to the company said. Reports that the car will be badged GTO to honor Ferraris were described as ‘nonsense’ by the source. Ferrari has used the GTO name (Gran Turismo Omologato, Italian for Grand Touring Homologated) just three times in its history, twice for racing specials and the last time in 2010 for an ultra high-performance version of the 599 supercar. Ferrari is targeting annual sales of 9,000 in 2019, up from an expected 8,400 last year. This year the company will begin shipments of its entry model, the Portofino, following its unveiling at the 2017 Frankfurt auto show. The open-topped car replaces the California T.